How Long Does It Take to Reach Profitability in Franchising? How Long Will It Take Before Making a Profit? From the time you sign the franchise agreement to the time you can reasonably expect to make a profit varies greatly from franchise to franchise. Due to the fact that franchising exists in approximately 75 different and distinct industries, each situation will be different. 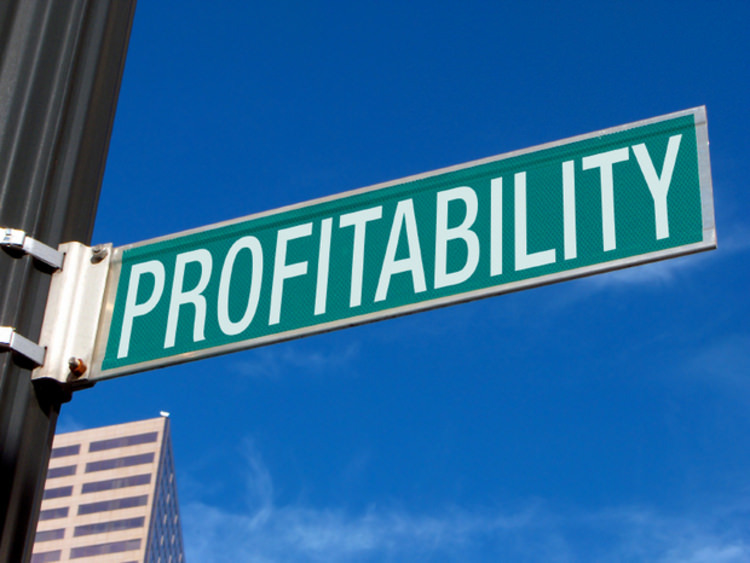 In addition, each business owner will approach the objective of profitability differently. With that being said, there are a few simple rules to remember that will help you easily differentiate between businesses that have the potential to quickly move toward profitability versus those that will take a little longer. The time frame to profitability will be dramatically affected by the location of the business. If the franchised business requires a retail storefront, then you have to assume a minimum of 6 months from signing to opening the doors. In some cases it could take as long as 12 months to get the doors open. In the case of a non-store front business, it will normally take between 4 and 8 weeks to open the business. Keep in mind that these time frames simply measure the time from signing the franchise agreement to opening the business. It does not take into account the time it takes for the business to achieve profitability. Although borrowing money often appears attractive, it is important to realize that debt financing will increase your cost of doing business. Every month you will have to pay the bank both principal and interest. The more debt you have, the longer it will take to break even. Equity, on the other hand allows for a faster break even by reducing your running costs. If you are looking for a business with the fastest potential for break even, you might want to start with a business that has little or no fixed cost. In an extreme example, if all your costs are variable, then you are making money with your first sale. There are businesses such a business coaching, advertising sales or discounted shipping businesses that have few fixed costs and therefore are able to break even within the first few months. Membership based models tend to have slower paths to profitability due to the fact that you have to acquire members on an individual basis. Typical examples include massage, gyms, haircutting, senior care or maid services. Due to the fact that you need to earn each person’s business, it can take some time to reach profitability. On the other hand, these business types have tremendous stability once they are established. Non-Membership based models such as restaurants tend to break even quickly if the grand opening program is effectively executed due to the fact that many people will want to ‘give the new place a try’. Once they try your business, the focus is to create a regular customer. Some franchised businesses allow for the use of a manager to run the business. The good part of this approach is personal freedom to either retain your job or have an exceptional amount of personal freedom and flexibility to focus on family or the growth of your business. The down side is that managers add to your cost structure and therefore tend to push the time to profitability further into the future. As mentioned previously, this is not necessary a bad thing. Manager run businesses allows an empire builder to focus on growth instead of day to day operations. This is necessary if you want to build a big business. How fast you reach profitability can also be affected by your personal growth objectives. When a business makes money, the owner only has three options in regard to how to use that money. First, they can take it home as owner’s profit. Second, they can pay down debt. Finally, they can invest in future growth. As an owner, you have to choose. Some owners really want to see a quick profit. As a result, these owners will take the first dollar out of the business as soon as they can. They are achieving a fast break even but they are sacrificing longer term growth. On the other hand, if you are focused on growth and scale, you will forego early profit to achieve your longer term goal of building a bigger business. This will force a longer road to profit. From signing the Franchise Agreement to Profitability can be reached as fast as a few months or may take a couple of years. How will you know what the norm is with the franchised business that you are investigating? There is a fact based approach that we discuss in The Educated Franchisee and in The Franchisee Workbook. Start with the expectation that this information is attainable. You should never guess. Extract as much information as you can from the Item 19 in the FDD (Learn more about different types of Item 19’s). Ask the Franchisor representative for a list of all the line items in the P&L. From this information, build as much as much of the P&L as possible. Next begin to interview franchisees. Ask about each income and expense categories. Learn how the income and expenses work and incrementally improve your P&L. Once you understand all the income and expense categories then you can figure out your contribution margin using traditional Break Even Analysis. With this information you will have an understanding of the traditional time frame to profitability. But you don’t have to stop there. You can reconnect with franchisees and ask them to review your numbers for you. A few of the franchisees will do this and they can verify whether you have the information correct. How long it takes to profitability in a franchise is something you can determine based on industry characteristics and through due diligence. Final thought. Businesses that move toward profitability quickly are not necessarily better than businesses that take longer. Often, the most saleable opportunities take the longest. In addition, if you are focused on driving growth, you will often defer profit to achieve your growth objectives. The same franchise system can have a variety of ‘norms’ due to the goals, objectives and approach that the individual franchise owner applies. Once you understand how the business works, you will then be able to apply the information to your approach.